The third edition of Dubai Design Week is on from 14-18 November 2017 (13 November is preview day). The line up of exhibitions and events at Dubai Design District (and across the city) week is quite extensive, if not overwhelming. The complete line up and schedule can be found here. Here are my top five picks which I plan to focus on this week. The third edition of Abwab will showcase design from the Middle East, North Africa and South Asia, featuring techniques, materials and craft from a series of studios across from over 10 countries: Previous editions of Abwab have featured designs from Algeria, Bahrain, India, Iraq, Jordan, Kuwait, Pakistan, Palestine, Saudi Arabia, Tunisia and the UAE. This year's pavilion is designed by Dubai-based Fahed & Architects using recovered bedsprings borrowed from waste management company Be’aah. Hamdan Bin Mohammed Heritage Center will exhibit copies of the Dubai news magazine Akbar Dubai from its library collection, showcasing typography, graphics, photography, content and page layouts from the late 1970s to the early 1980s. 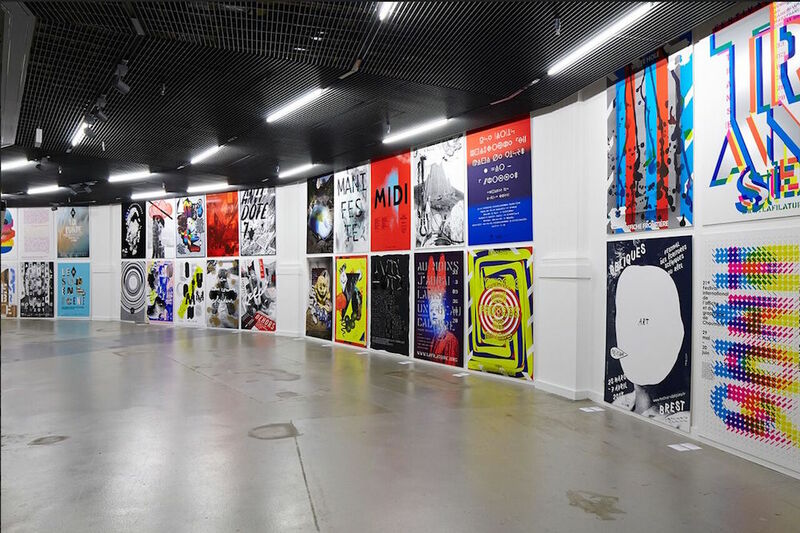 GraphicsRCA: Fifty Years and Beyondcelebrates the milestone anniversary of a graphic design course at the RCA that marked the beginning of a break with commercial art, and heralded an era that saw graphic design emerge as a major force in business and culture. The exhibition features rarely seen works from the RCA archive, including designs by alumni who have gone on to become leading practitioners; Film Society Posters; stamps commissioned by the Royal Mail; the infamous student magazine Ark; typographic experiments; and early examples from pioneers of digital design. Loading… Casa is an exhibition described as a "simultaneous, non-linear experience" which will include archival images, sound recordings, a short film, a monumental drawing and contemporary photography will collide. The exhibition includes five parts and will include work by artists, filmmakers, designers. Transhumance: Progressively polycentric, Casablanca saw its population migrate within the urban space in pace with socio-economic ascension. In order to adapt, the city invented its own model of planning and auto-regulation. Mutation: Moroccans have traditionally defined themselves by their tribes, but in Casablanca the phenomenon of diversity first appeared, forging a new Casablancan identity. In three months, one can claim the city as one’s own, without objection. Counter-culture: Artists render profane that which has been considered sacred, assuming the right to appropriate it, reinterpret it, and take every liberty with regard to legacy. As writer/curator Omar Berrada rightly says, "the popular heritage is like a living body, an agent of permanent cultural renewal". Amnesiac memory: Not a single commemorative plaque, no inscriptions nor steles exist to inform visitors about the people who created this city. Casablanca cultivates the obligation of oblivion: a tomb without an epitaph. Hedonism: Hedonism has become a characteristic of the city with the largest tower, swimming pool and cinema (the Vox) in Africa. Weltformat DXB is a collaboration between Tashkeel, Welformat (a collective of graphic designers from Lucerne), Cairo-based designer Engy Aly and Mobius Design Studio’s Design House, with the support of Pro-Helvetia. It will be the first exhibition of the Weltformat Swiss Poster Festival in Dubai, showcasing the work of generations of Swiss designers.